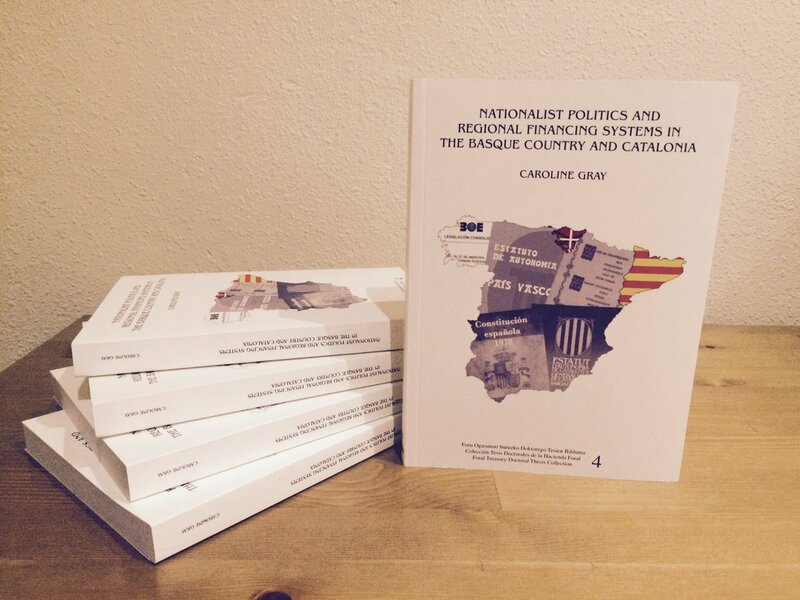 Nationalist Politics and Regional Financing Systems in the Basque Country and Catalonia, a new book by Caroline Gray based on her PhD research, is now available for free download. The book has been published by Ad Concordiam in their doctoral thesis collection. Bilbao-based Ad Concordiam is a non-for-profit association that seeks to promote understanding about the Basque Economic Agreement with Spain. 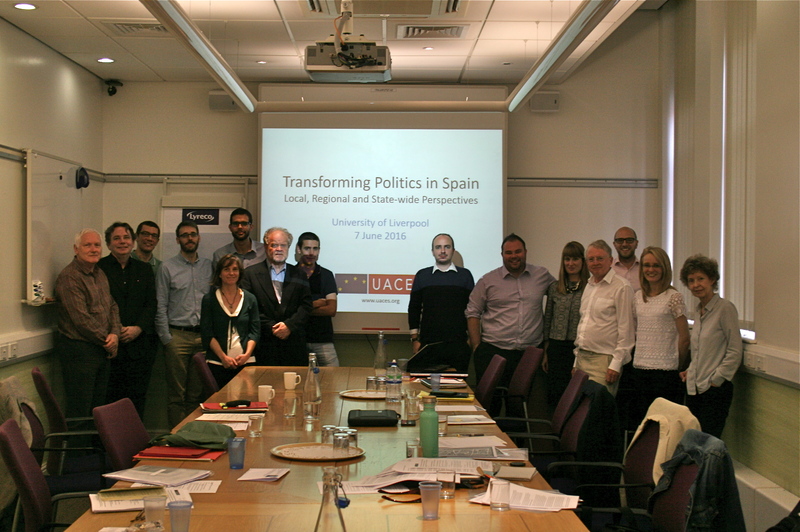 This one-day workshop, sponsored by UACES, Liverpool University’s Europe and the World Centre, and Aberystwyth University’s Department of International Politics, brought together scholars and practitioners from the UK and Spain to examine the transformation of politics in Spain in recent years. This has seen many established political parties lose electoral support and government office, and the growth of new and previously marginal political actors advocating a radically different way of doing and talking about politics. A series of roundtable discussions focused on the role of three key drivers of political change: the economic crisis, a territorial crisis as a result of the Catalan challenge to the integrity of the Spanish state, and a political crisis characterised by widespread disillusionment with existing political institutions and actors. Contributors to the first roundtable, Economic Crisis and Political Transformation, outlined the particular features of the economic crisis in Spain (influenced by the specificities of the country’s economic model), and the nature of political responses to it. The discussion reflected on the extent to which European intervention in the Spanish economy has affected the fiscal autonomy of local, regional and central governments, and influenced popular attitudes towards the European project. The second roundtable, Old and New Party Politics in Spain, examined the drivers and consequences of shifting patterns of party competition in Spain. An analysis of public opinion data provided insights into the demographic, generational, social and territorial trends in voter behaviour that have led to a shift from two-party to increasingly multi-party politics. This provided the context for focusing in more detail on the electoral fortunes and political prospects of old and new political parties. Contributors presented new research on the Spanish Socialists, the anti-austerity Podemos, and Barcelona en Comú which is transforming politics in this Catalan city. Challenging Spain’s Territorial Model was the theme of the third roundtable. The Catalan secessionist process was a key theme here, and an analysis of state-wide party responses to this challenge to the central state highlighted the lack of a serious or consensus alternative to independence demands. But it was also argued that the issue of Catalan independence is only the most recent symptom of a much more profound and long-standing crisis of Spain’s model for managing territorial relations. The new research presented pointed to the growing disparity between territorial interests and behaviours within Spain, with the implication that solutions for reforming the current territorial model are unlikely to satisfy all, or even most, territorial actors. The workshop concluded with a session on Academics, Political Engagement and the Future Research Agenda. A new study of the role of academics in the 2015 Spanish general election highlighted the opportunities and risks for scholars keen to engage with popular political debate. The discussion led to a broader reflection on the key research challenges for scholars of Spanish politics, and the identification of possible areas for future research collaboration. A priority is to understand the complex inter-relationship between economic, social, territorial and political drivers of Spain’s current transformation. This requires an ambitious multi-disciplinary and multi-scalar approach, and the workshop provided an excellent starting point for mapping out such a new project. The workshop aims to examine the transformation of local, regional and state-wide politics in Spain in recent years, which has seen many established political parties lose electoral support and government office and the growth of new and previously marginal political actors advocating a radically different way of doing and talking about politics. Scholars interested in contributing to the workshop should submit a 200 word abstract to Dr. Anwen Elias (awe@aber.ac.uk) and Prof. Richard Gillespie (Richard.Gillespie@liverpool.ac.uk) by Monday 25th April 2016. For full details, please download the Call for contributions. A new project on ‘Contested Identities’ has been launched in Scotland to bring together researchers who work on Scotland, Ireland, Wales, the Basque Country, Catalonia and Galicia. Funded by the Royal Society of Edinburgh, the project is led by Professor Kathryn Crameri, Chair of Hispanic Studies at the University of Glasgow. Expressions of interest from researchers based in Scotland are invited for the first workshop which will take place on Friday 15 April at the University of Glasgow. Contributions are welcome from any area of the Arts, Humanities and Social Sciences, including Anthropology, Cultural and Media Studies, Film and TV, Heritage and Museums, History, Literature and Theatre, Politics, Psychology, Sociolinguistics and Sociology. The purpose of the network is to create genuine dialogue and collaboration resulting in an edited volume and/or special journal issue, and further grant applications. The RSE funding covers two years of workshops and events, including a final public event in conjunction with Beyond Borders Scotland. Identity – belonging – affect – sameness and difference – images and narratives of the nation – performance – transnational relationships – globalisation – traditional and new media – cultural production – the ‘small nation’ – cultural diplomacy – culture and politics – independence movements – history and memory – language. The research brief examines centre-periphery dynamics in Italy in relation to South Tyrol, focusing on the response of the hegemonic pro-autonomy South Tyrolean People’s Party (SVP) to increasing competition from secessionist parties. See Research Briefs section for more information on the series. The editors welcome proposals for contributions. 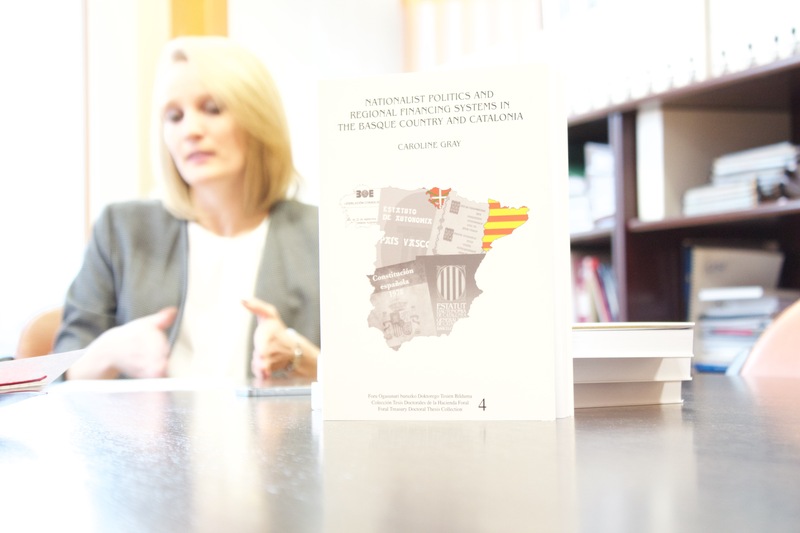 Edited by Richard Gillespie and Caroline Gray, this book offers a series of contributions exploring the dynamics behind contemporary shifts in the orientation of the Catalan and Basque nationalist parties and movements in Spain. 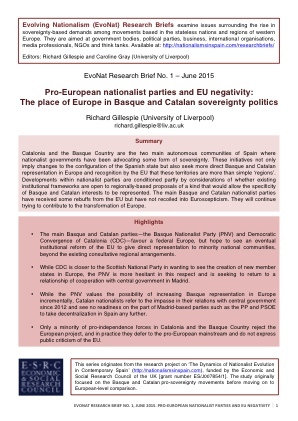 Versions of the chapters were originally published in Nationalism and Ethnic Politics, Volume 21, Issue 1, 2015. 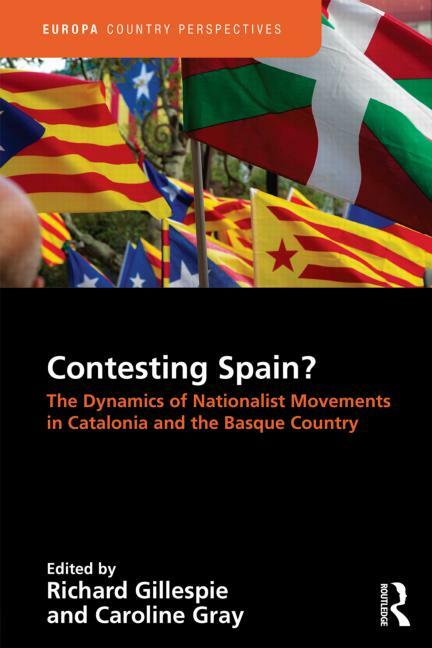 We are pleased to launch a new series of Evolving Nationalism (EvoNat) Research Briefs, to be made available through this website (https://nationalismsinspain.com/researchbriefs/). The Research Briefs will examine a range of issues surrounding the rise in sovereignty-based demands among movements based in the stateless nations and regions of western Europe. They are aimed at government bodies, political parties, business, international organisations, media professionals, NGOs and think tanks. Further contributions to the series by invited authors on a range of nations and regions will be published in the coming months.